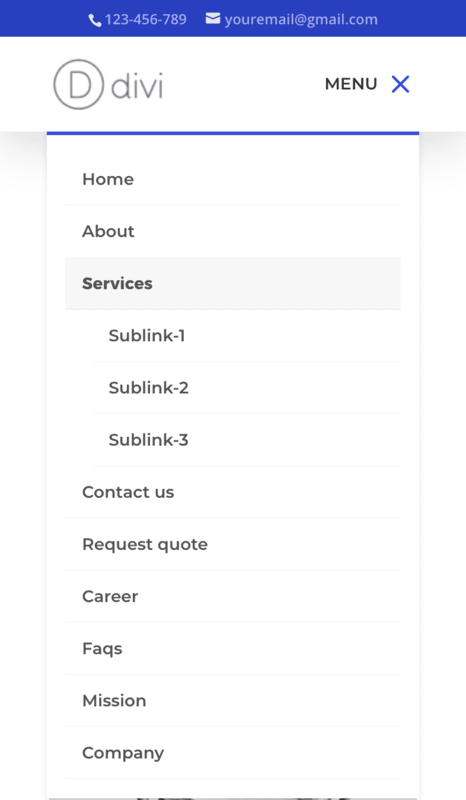 There are several plugins that allow you to change the appearance of the Divi mobile menu, but what if you can make some customizations without using a plugin? You don’t like the drop-down menu and would like a Slide-in menu? Would you like the Divi Menu Mobile to stay sticky at the top? Or do you want to use a different logo for the mobile menu? For all these cases, there is a hack that allows you to customize your Divi Menu Mobile using only fragments of CSS code. 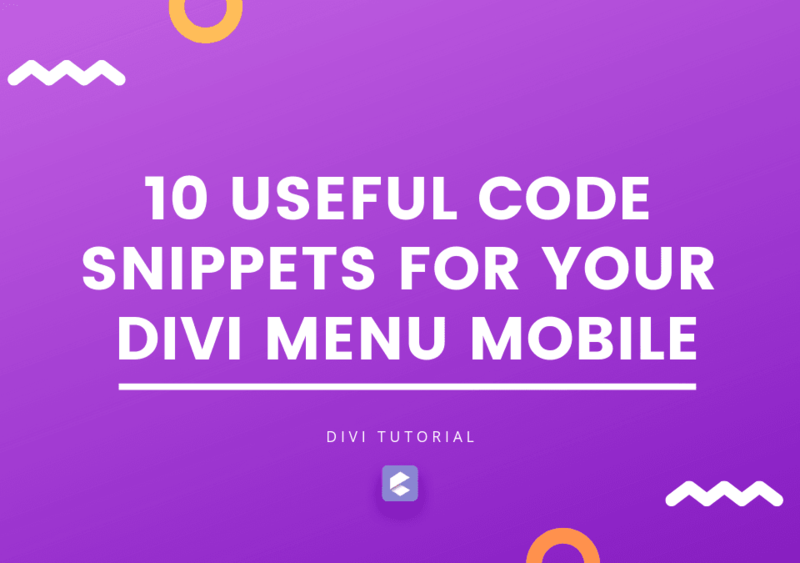 Basically, fragments of CSS/JS code are used to get specific features that might otherwise require a plugin and in this article, I listed 10 Useful Code Snippets for your Divi Menu Mobile. Are you ready to find them out? Let’s get started! With this snippet, you can add an image to the mobile menu. I’ve also added an overlay to improve the contrast of the text and get a better readability. How to customize this code: All you have to do is replace the link of the image you see inside the brackets with the link of your image. Also if you want to change the color of the overlay, you just have to change the values of the color rgba, really very simple. With this short snippet, your mobile menu will remain fixed at the top of the page. Sometimes it may be necessary to use a different logo for the mobile menu and this snippet does exactly that. Want to add a shadow below the mobile menu? This snippet is what you are looking for. If you want to add text before or after the hamburger icon of the Divi menu, this snippet is what you need. In the first case the text will be to the right of the menu icon. In the second case the text is before the icon, the on the left. A simple snippet to change the hamburger icon to X when the menu is open. The interesting thing is the possibility of grouping all the items in the submenu and hiding them with a Toggle function that allows you to get a more tidy and intuitive menu. 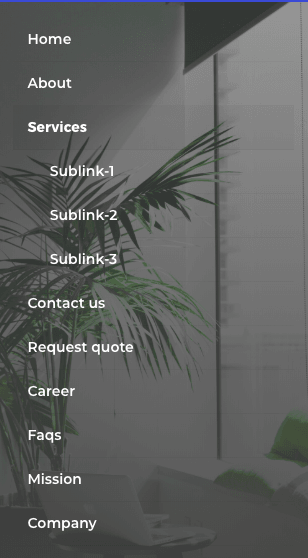 But unlike the solution proposed by Elegant Themes in his tutorial “Divi Mobile Menu Hack: Collapsing Nested Menu Items“, this hack makes clickable the parent link of the Submenu as well. How to add this hack to your menu? First of all, add the CSS code to your Divi site. You can add it to your Theme Options in the Custom CSS field or in your child theme. 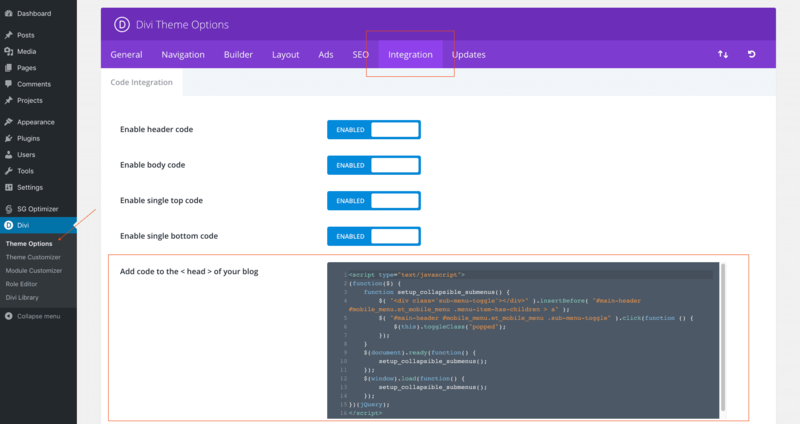 The second thing you need to do is add the JS code in the Integrations tab that you always find in the Theme Options (see screenshot below). NOTE: Be careful to not cut part of the code while copying and pasting because even if you don’t have a single bracket, it may not make the menu work properly. 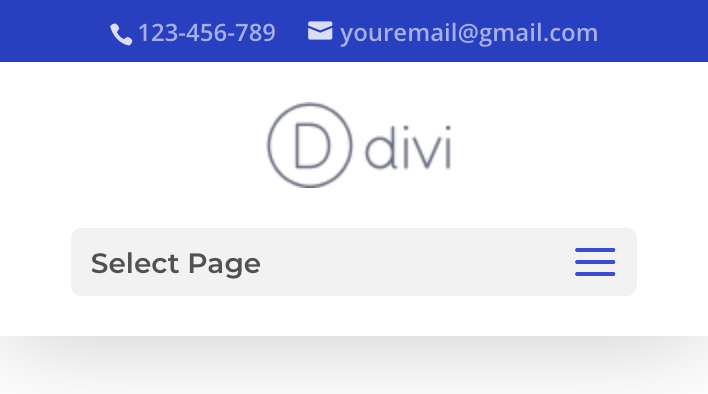 A hack that you will surely love is the one that allows you to add a slide-in effect to the Divi mobile menu only with CSS code. No plugins, just pure CSS code that allows you to totally change the look of your Divi mobile menu. If you’re interested in this hack, take a look at the tutorial I wrote and published on Needyesterday. I’m sure you’ll find all 8 menu styles listed in the tutorial very interesting! When using the Centered or Centered inline style for the Desktop menu, the layout of the mobile menu change as well. But with this hack you can apply the default layout while leaving the Desktop menu unchanged. This last snippet is useful if you use the “Centered” menu style and want to change the “Select a page” label. With very few lines of JS code, you can add your own custom label. We’ve come to the end of this article. As you can see with a few lines of code you can extend and improve the mobile menu of your Divi site without the use of plugins. Have you already used one of this snippet or do you think some of it is missing? I am Fabio Sarcona, a freelance Web Designer/Developer with more than 6 years of experience. I am also a Divi Expert author of various tutorials and founder of Creative Child Themes and Needyesterday.